A boot disc is very useful because it can be used to perform troubleshooting tasks on an unbootable computer. Most of the time software that belongs in the category of data recovery, antivirus and hard drive backup/restore provides the option to create a boot disc which is sometimes known as rescue disc. Although these software can run from Windows, they are actually most efficient when run offline from a bootable disc. An example scenario is you’ve accidentally deleted an important file. You can of course install a free data recovery software such as Recuva and attempt to recover the deleted file. However installing it on the computer will face a potential risk of the installed program overwriting the deleted file. To increase the chance of recovering the file, immediately shut down the computer, boot it up with a bootable WinPE disc and run Recuva from the Windows PE environment. A boot disc is normally based on either Linux or Windows PE. 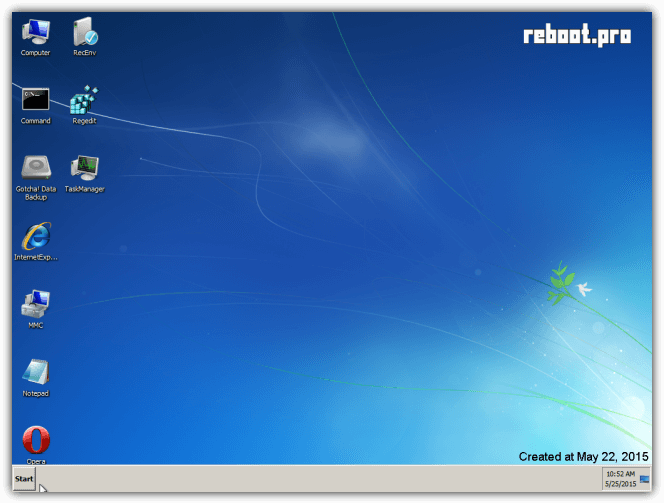 Linux is commonly being used because the operating system and most third party tools are free, the generated boot disc is more compact in size and can run on slower computers. As for Windows PE, it has the best hardware support and most users would be familiar with it such as the hard drive naming convention (C:\) in Windows compared to Linux (/dev/sda). However, Windows PE may have a higher system requirement because the latest Windows PE 5.1 already need at least 512MB just for the base and adding more drivers, packages, or apps will obviously require more memory. Here we have a list of free boot discs based on Windows PE that come with a collection of useful tools which we think that every computer technician or even a normal user should have to hand. Paragon Software is well known for their hard drive management software. 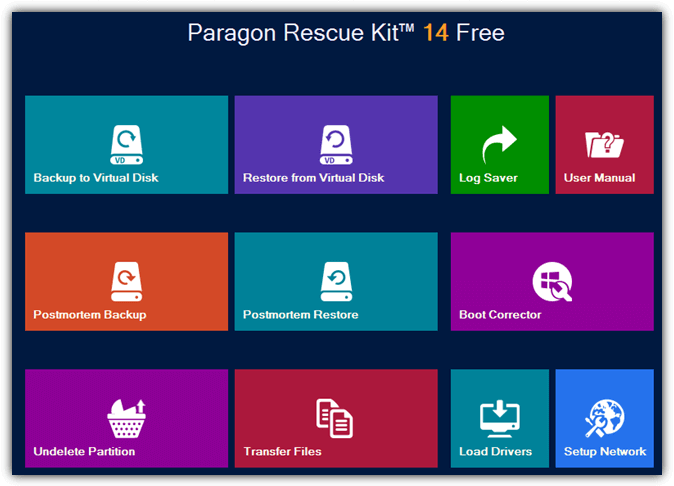 Other than shareware, one of the freeware applications they offer is the Paragon Rescue Kit 14. It comes with a bunch of useful tools such as backup/restore to virtual disk, postmortem backup/restore, boot corrector to fix MBR/boot.ini/BCD/EFI boot parameters, undelete partition to restore partition that has been accidentally deleted, and file transfer. Unfortunately the registry editor and password cleaner to reset the local Windows user account is only available in Linux but not in Windows PE. 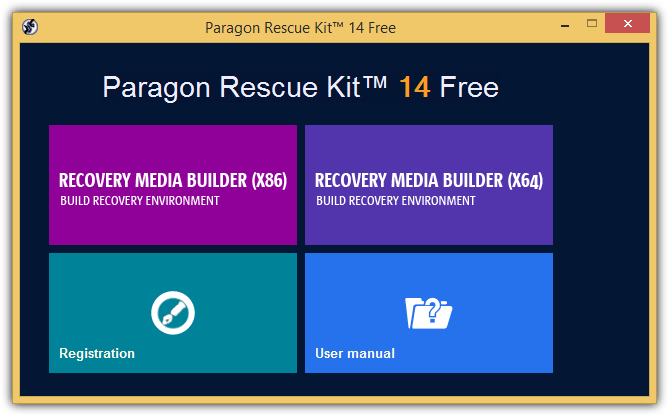 Paragon Rescue Kit 14 does not require Windows Automated Installation Kit nor Windows Assessment and Deployment Kit to build the recovery media if you’re creating from a Windows 7 or newer operating system. The builder will simply use the WIM image of the current operating system. However do take note that you will need to install WAIK or ADK if you want the builder to create the ISO image file. During the building process, you have the option to enable the advanced mode that allows to add storage and network device drivers, network configuration such as detecting the network interface automatically, and mounting a network share automatically after boot. You will also need to provide the product key and serial number which can be obtained for free at their official website. 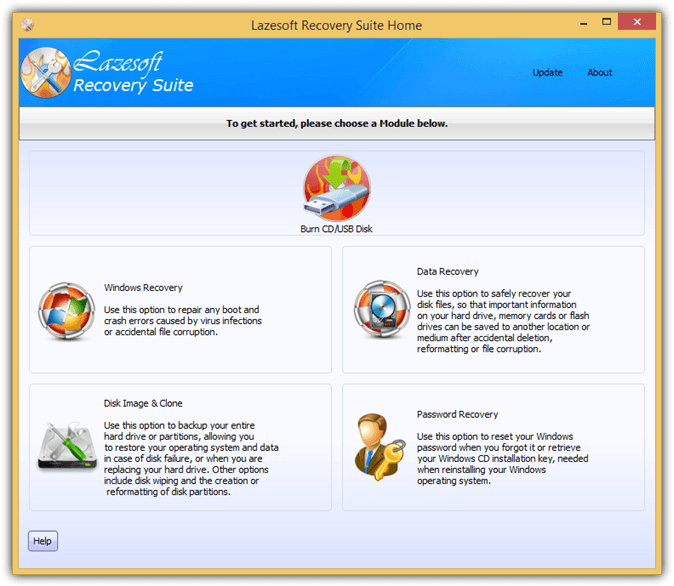 Lazesoft Recovery Suite Home Edition is free for non-commercial use only. It is able to create a Windows PE boot disc containing a few modules to help in recovering a crashed Windows by repairing boot errors, recover files after accidental deletion, cloning and creating disk image, recovering Windows serial number and resetting user account password. Building a Windows PE with Lazesoft is as easy as clicking on the “Burn CD/USB Disk” button. You can choose to build a specific WinPE version ranging from Windows 7 to 8.1 for both 32-bit and 64-bit by clicking the Options button. The builder will automatically download the necessary components to build the WinPE if your computer does not have the files. 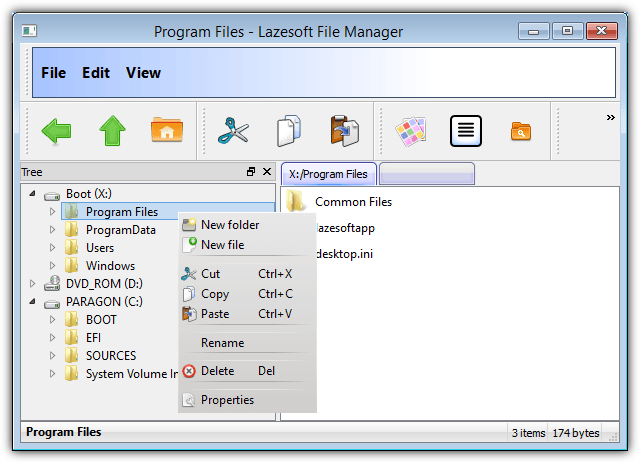 The Windows File Manager button found on the Lazesoft Recovery Suite Home Edition disc is not really a fully featured file manager like Windows Explorer where you have two tree view panes to easily manage files. 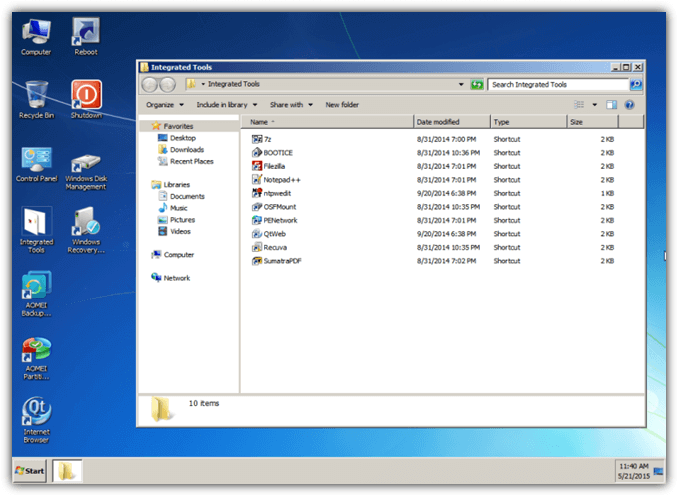 You can however launch a third party file manager from the Windows Recovery button, go to the RepairTools tab and click on Lazesoft File Manager. 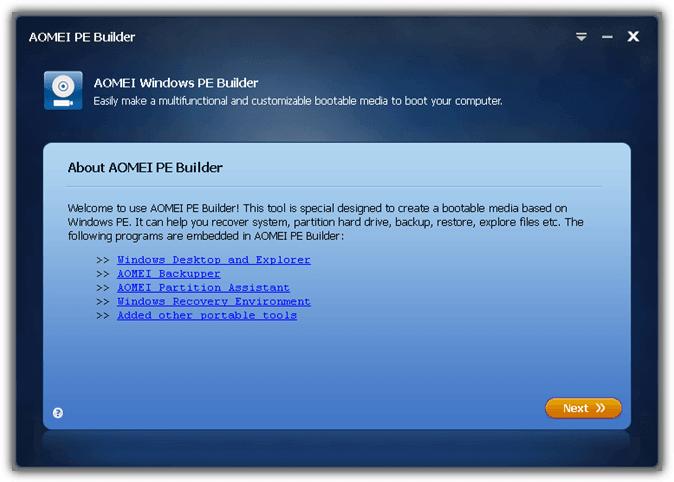 AOMEI Technology, the company that is well known for their PC backup software called Backupper, released a freeware program called PE Builder late last year to help users easily build a WinPE-based bootable media with just a few clicks. AOMEI PE Builder is able to build a Windows PE by using the Windows Recovery Environment that is found on newer version of the Windows operating system such as 7 and 8, so there is no need to download and install WAIK or ADK. The Windows PE built by AOMEI PE Builder looks more like a normal Windows desktop because it comes with Windows desktop and Explorer which is not found in the Windows PE built by Paragon Rescue Kit or Lazesoft Recovery Suite. Other than that, AOMEI Backupper, AOMEI Partition Assistant and Windows Recovery Environment is included by default. You can also embed 3rd party portable tools such as 7-Zip, Everything, IrfanView, Notepad++, Q-Dir, Recuva, SumatraPDF, FileZilla, PENetwork, QTWeb, BOOTICE, NTPWEdit and OSFMount to the Windows PE by ticking the checkboxes. Custom drivers and files can also be added. Do take note that the current version 1.4 and all older versions might not build a working Windows PE and this is caused by some compatibility issues with the recent Windows updates released by Microsoft. If you urgently need to build a working Windows PE using AOMEI PE Builder, you can do it from a Windows 7 computer with the 2 Windows updates KB3022345 and KB3045999 uninstalled. This workaround only works in Windows 7 but not in Windows 8.1. AOMEI is aware of this issue and is currently working on a newer version to fix this problem. If you’re looking for a pre-built Windows 8.1 PE, look no further and just use Gandalf’s Windows 8.1 PE because it is packed with useful programs. It has a desktop, explorer, start menu replacement with StartIsBack, compression tools, image viewer, hard drive tools, video player, OpenOffice, remote access tools (Ammyy Admin, Remote Desktop, TeamViewer), anti malware such as ClamWin and MalwareBytes, and many more! Gandalf’s Windows 8.1 PE is 1.8GB in size and in an ISO image format. You can burn it to a DVD or install it to a USB flash drive using Rufus. Both X86 and X64 versions of the 8.1 PE are available to download. All the tools embedded to Gandalf’s Windows 8.1 PE are either free or trial versions which means it’s free from pirated programs. WinBuilder 2015 is the new and completely rewritten tool of WinBuilder 082 which has not been updated since 2011. The old WinBuilder 082 comes in a nice graphical user interface with buttons and graphs while the latest WinBuilder 2015 runs in a simple window that accepts commands, similar to a command prompt. This new version of WinBuilder runs on Java which means it can also run on operating system other than Windows such as Linux and Mac OSX. The old WinBuilder 082 is supposedly easy enough to use involving only two steps but may be difficult to troubleshoot the problem if there are errors during the Windows PE building process. 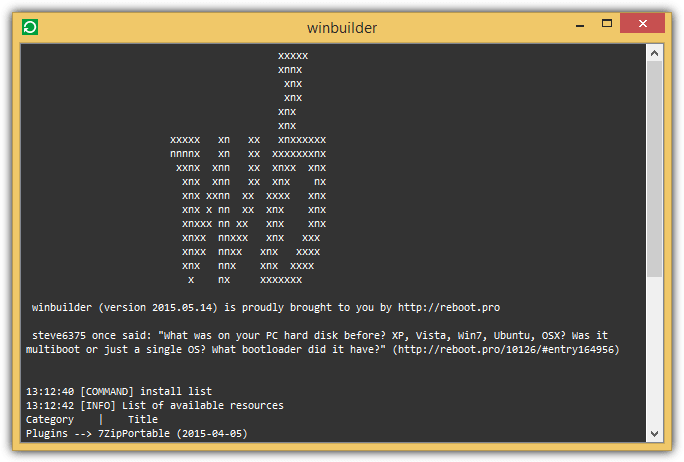 The new WinBuilder is even easier by typing a single command “AUTO” into the window, and the whole process of building a Windows PE bootable disc is fully automated including the downloading of the Windows ISO image file. Currently there are 18 portable software tools that can be added to the Windows PE automatically through WinBuilder 2015 by typing the command “install appname” in the program. The plugins available to install can be listed by typing “install list” in the program window. For example, to install Recuva, simply type “install recuva” in the window. Do note that there is no need to type the complete plugin name because the program accepts partial filenames. Additional Notes: You can build a WinPE 5.1 which is based on Windows 8.1 using the old WinBuilder 082 through Win8.1SE. You will need to download the Windows 8.1 enterprise evaluation ISO, extract it to your hard drive or mount the ISO to a drive letter, point the source directory to the extracted/mounted Windows 8.1 files, and click the Play button. Optionally, you can also change the configuration settings by enabling/disabling the scripts found at left hand navigation tree. 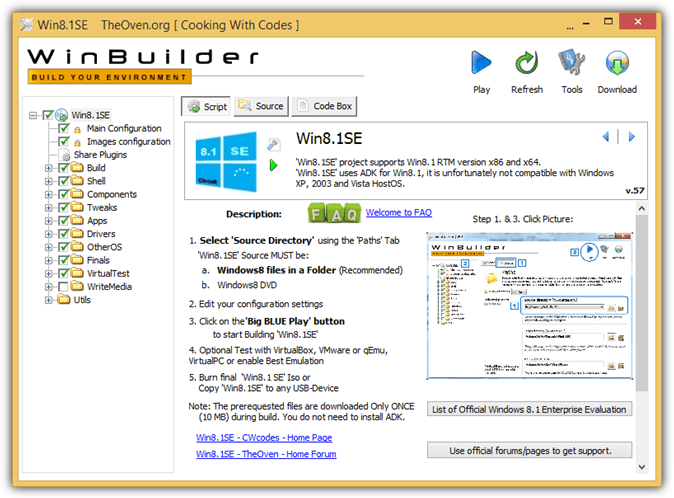 Gandalf’s Windows 8.1 PE is winpebuilder(oven.org) created system. The link for Download Gandalf’s Windows 8.1 PE does not work. Takes me to a OneDriveLive item that displays : This item might not exist or is no longer available. Raymond, have you ever tested Sergei Strelec’s Boot DVD ? He has stopped making the english versions (as it was too much work in exchange of nothing), but I recommend you do try to try his last english version DVD. It has ALL you could need for recovery and diagnosis. It also seems to be entirely made up from pirated/cracked/commercial software. We can’t really recommend it here. Not really, this new version is by “fans” of Hiren’s BootCD and not from Hiren so isn’t really an official version. Still, if it has the blessing of Hiren himself and is hosted on the main website, then it’s the closest we have to an official release without actually getting one. 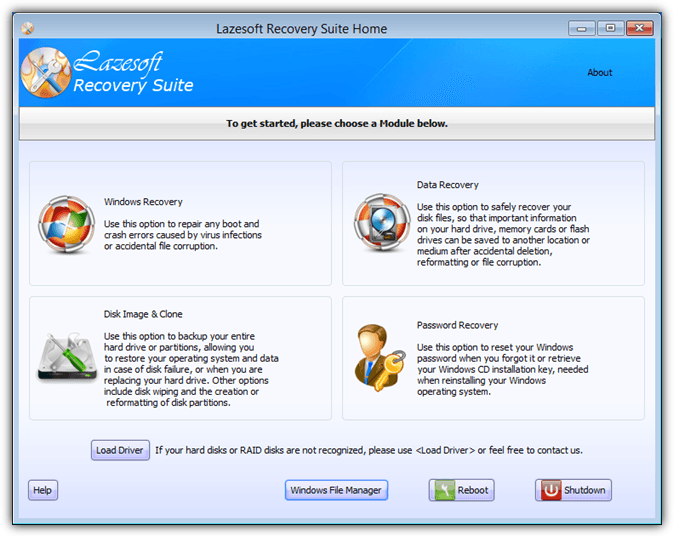 Lazesoft Recovery Suite Home Edition was working for me, the 1. Paragon Rescue Kit 14 Free Edition wasn*t able to build the USB Disc nor as ISO Image with unknown Error. Maybe because I’ve run it on Windows 10. I’ve cloned 3 GPT Partitions of a Windows 10 Installation from a HDD to an M.2 SSD after cloning I had to Edit the SSD Partitions with the GPT Editor which was very easy. Thanks for this great Article. I have tried to Clone with Acronis True Image 2015, AOMEI Partition Assistent and EASEUS with no success, every Tool has a BUG or something that let the cloning fail or the Partition Table is wrong after Cloning so you can’t boot from the SSD after cloning, which is very annoying. I hope you will soon return to the Blog and post new News and Tutorials etc. I had same problem with Easus until I tried the Easus Clone disk app that comes with UBCD. It worked like a charm on 8.1. Seems the trick with GPT is to clone offline rather than in Windows. Maybe I’m dense or ignorant. But are they all EUFI complaint? What do you know about DLC BOOT? dlcboot was good when it/he imitated hiren. after that he became acting as a woman/girl, unoredictably changing an iimportant piecec of software with the latest fashion abandoning the true and proved programs like irfan and many others. he is much more emotionaly driven and You may see in his compilations many mrite colored objects, and he insists for showing his native language instead of english, wich makes his bootcd nearly impossible to use. despite in the menu declarations, not many winpe-alternatives are working, but not removed. in all, its useable, nut limiting in behaving. i propose To all to try, but not to stick with these compilations. original is everitime better as copy, ok? 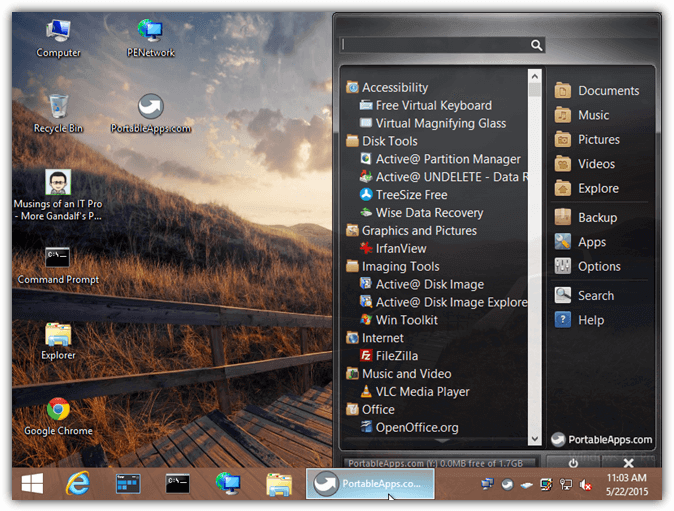 keep hiren15.2 and others – win81se, gandalf and strelec. sorry for the vietnamese guy, if he does not became compatible and non-emotional in making live cds, it is useless to try his works. but for comparisons with others livecds for repairing we must try all of them. It would be good to clarify that Gandalf’s Windows 8.1 PE, 10PE is a construction made from Win8.1SE projet and Win10PESE project for the second one. To customize, with own applications, drivers, wallpaper and much more. It is better to use the original project. It is possible to use those Pe Images in a Win WDS Server. Download the Iso. Dont burn it to a DVD. Hello Need some help ..
Can i Use any of this for network booting (image booting from WDS Server ) or upload the image to wds server ?? like .wim files ?? There are many other WinPE-based bootdisks, such as PCUnlocker, Acronis Backup, etc. I was so sad seeing Falcon4 UBCD, HirenBoot and such becoming almost useless under UEFI stripped computers. No mean to boot in “legacy” mode. It appears the AOMEI PE Builder site for downloading is no longer available. Is there another link that can be had? Thanks a bunch for this write up. I have been a user of PE tools over a long period of time and wondered what were the most up to date versions were as of late. I have it on a bootable USB drive. You can add portable programs of your own. I placed a copy of FF portabe, and XYPlorerFree portable into that folder, and they run fine. That means I can avoid MS Windows Explorer, which I hate. And can avoid Chrome, which I hate. I (out of curiosity) would like to try it. Has anyone else given it a go yet ? Could Raymond run his battery of VirusTotal tests on it ? It is not as rosy as I painted. Adding your own portable programs is a bit finicky/flaky, and are not quick to respond when using. They all appear to be on gandalf’s web site, so that should give us a confident feeling. Strelec’s disk has possibly more features, updated often and can boot up even on low power (ram lower than 512 MB) without a hitch. funkysourav, found out sergei while looking for a good winpe, problem is it’s in russia, you forgot to mention that! if there’s an english versin somewhere, please point it out, would be great! I have an AOMEI PE disk, created prior to the bug, and I love it! I copied LazeSoft’s disk to the AOMEI so I can easily launch the LazeSoft utilities from within AOMEI. Two tools sets, one boot! GreggDe, how did you do that, I”d like to know how you added Lazesoft to AOMEI PE? When it is built and you boot, you will get a “My Tools” folder. The lazesoftapp will be inside that and you can run ifsui.exe to get the lasesoft gui. Following his posting would be possible to add the KeePass Password Safe 2 ? Thank you Raymond for this very helpful article. I already have one or two System Rescue Boot Discs based on Windows PE, paid versions. I think that I will maybe make a couple more because these boot discs doesn’t offer exactly the same tools and when you are in need of these it’s almost never for the same reasons and what you have to repair is not exactly the same, so better be prepared. Also, it’s when your computer is working right that it is time to make such boot discs, not when you are not able anymore to get into your OS. I have made the AOMEI rescue disc, it is working correctly and the tools which this disc offers are correct. I have tried to make WinBuilder 2015 with the “AUTO” command : I have burned the ISO “bootdisk” file on a CD RW and tried to boot with it. What happened is that I got a BSOD screen : I don’t really understand what happened. My regular OS is Windows 7 Pro 64 bits and WinBuilder 2015 downloaded an ISO file “win7_en_x86_sp1? : do this sofware only comes in a 32 bits architecture or also in a 64 biy=ts architecture ? What could be the reason of the BSOD ? Also, if my regular OS is Windows 7 Pro 64 bits, may I use without any problem Gandalf’s Windows 8.1 PE ? You left out the two best. Macrium Reflect WinPE Rescue Disk and Active Boot Disk. Active Boot Disk is not free. As for Macrium Reflect WinPE Rescue Disk, it only comes with a command prompt, explorer and Macrium Reflect program. Not enough to be categorized as a “system” rescue disk. In Winbuilder, if I do “Auto” first, it makes an ISO. If I then add plugins, it does not rebuild the ISO. So do I add each of my plugins first, then do Auto? or is there some other sequence of commands? Add plugin first which will download the necessary files to the directory, then finally do auto to build the final ISO.